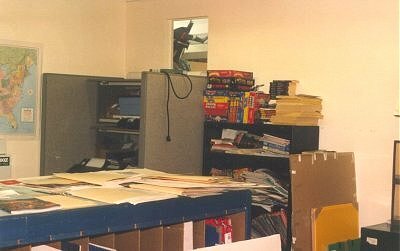 Average TSR office with shelves for copies of their many products. 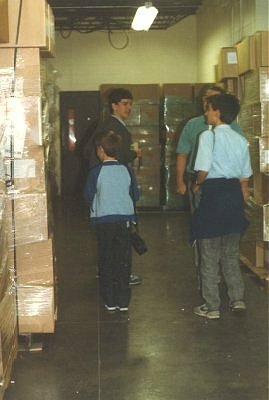 TSR's warehouse with boxes filled with D&D products (mainly AD&D Second Edition Monstrous Compendiums in this instance). 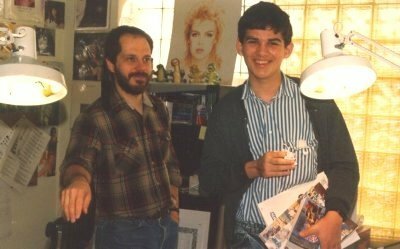 Dave Sutherland showing me Forgotten Realms map designing methods. 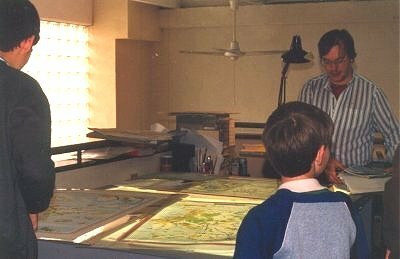 These maps accompanied future products. Dennis Kauth, lead miniatures designer, gave me some unpainted samples of his work - a draconian and an ogre magi. A remarkably detailed portrait of a red-haired woman lies on top of a bookcase at the back of this room. Was she used as the model for Alias, heroine of Azure Bonds?